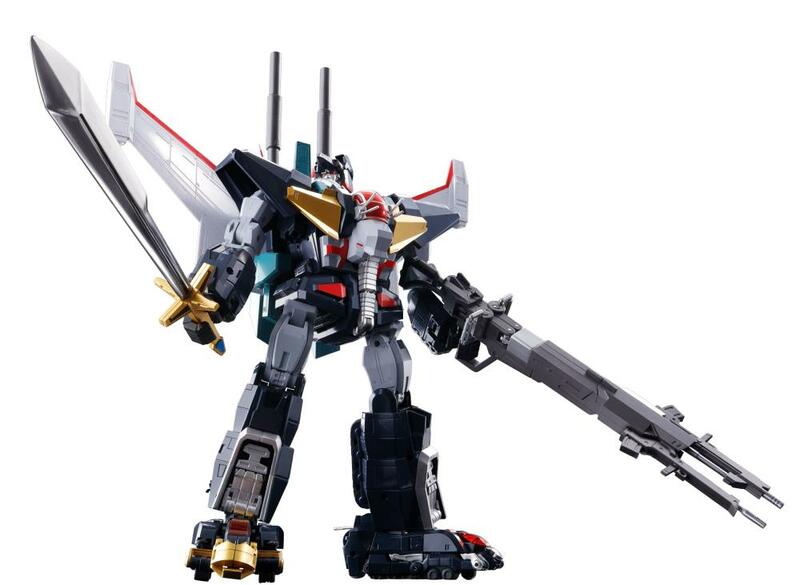 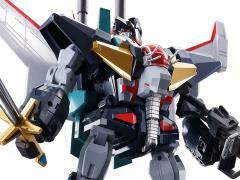 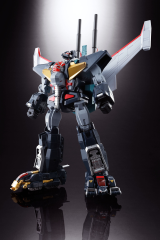 The fifth most requested reissue in surveys of Soul of Chogokin fans, Dancouga! 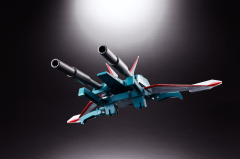 It includes a variety of adjustments and improvements, including the head transformation, the colors, and the wing connection structure. 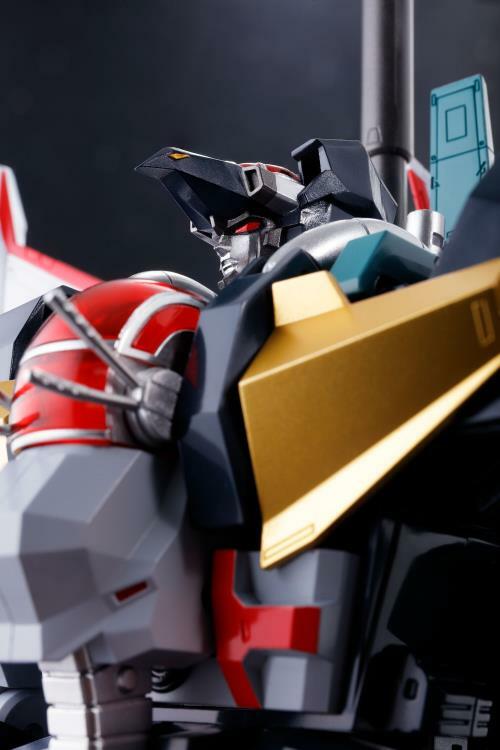 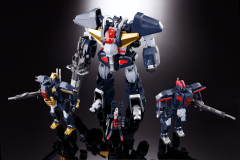 The 9.80 inch (25cm) die-cast Dancouga disassembles into the Big Moth, Eagle Fighter, Land Tiger, and Land Cougar machines. 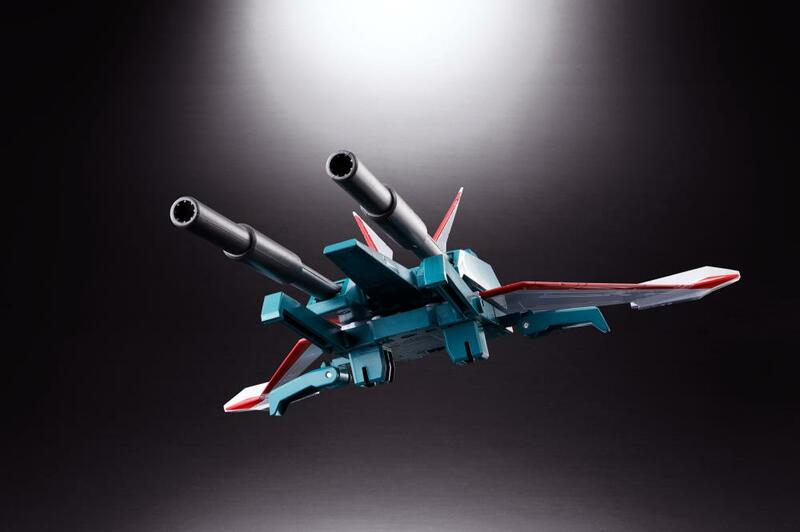 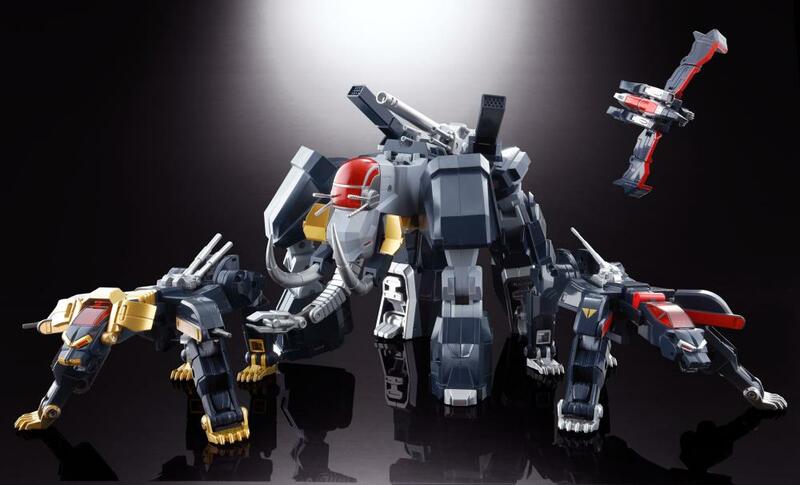 The set includes the Danco-ken sword, two sword parts, two cannon, a beam gun for the Eagle Fighter, a blaster for Land Tiger, a blaster for Land Cougar, a beam launcher for Big Moth, a connector for the Daigan, two pulse lasers for Big Moth, a stand for Eagle Fighter, a booster, and non-transforming head parts sculpted with form in mind.